I spent a lot of 2016 not really thinking about miniatures much, but in the last while I got inspired to start building the assets I need for a 15mm post-apocalypse game. 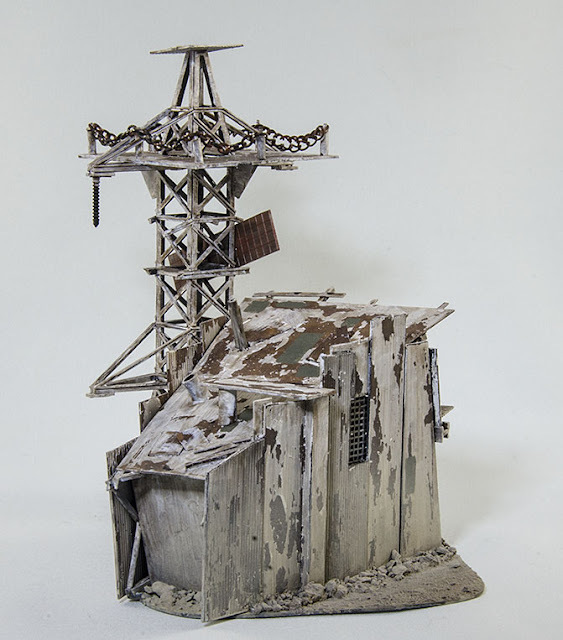 I have a bunch of stuff made and painted, and I'll start posting pics over the next little bit. 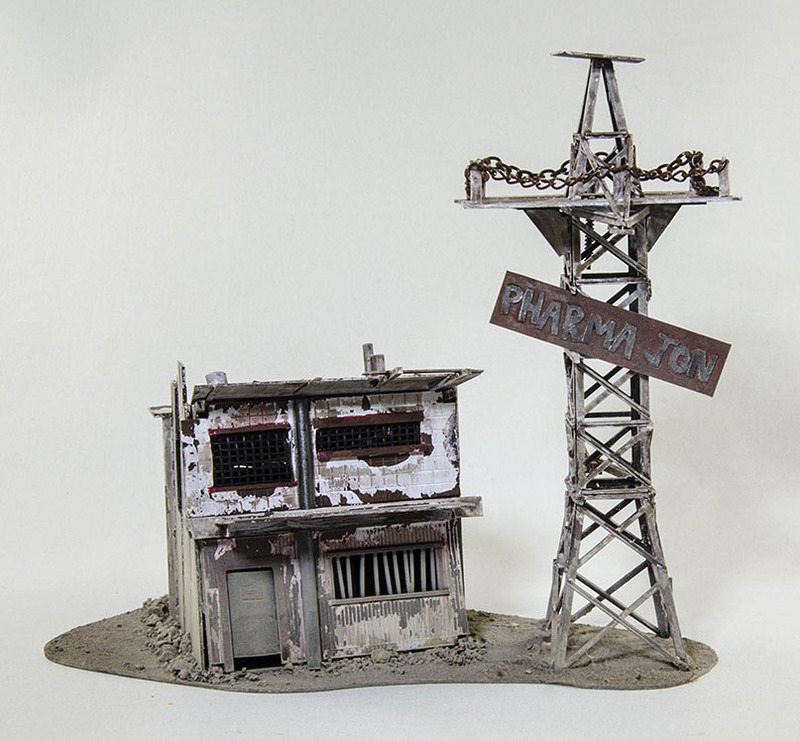 First up is a drug / aid shop. 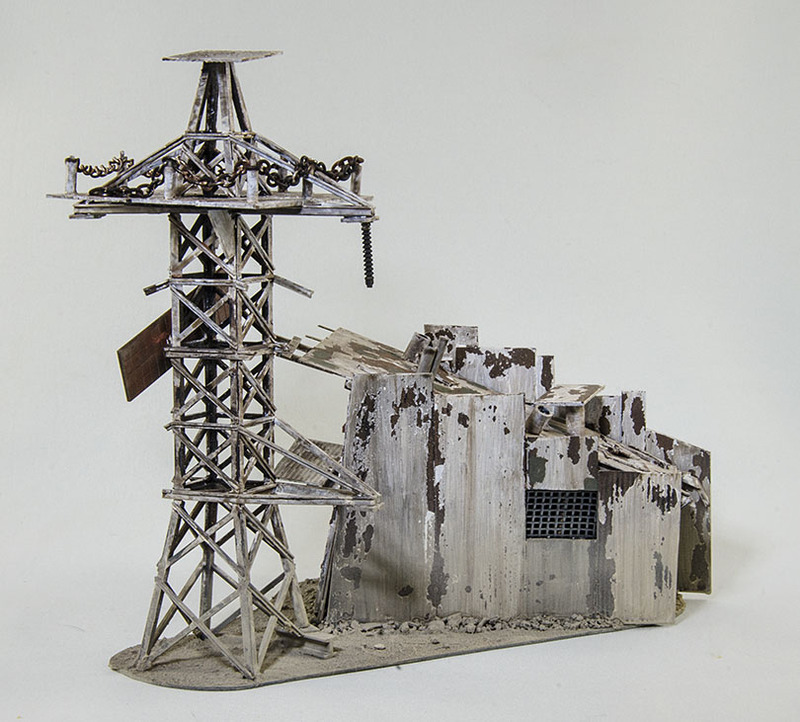 I built this out of scraps of styrene card, on a frame built out of pieces of a high-voltage transmission tower. The lower half of the tower was laid on its side and I slapped a bunch of random bits of crap on it to form the walls, but the underlying structure isn't very visible. The upper half of the tower got turned into a little watch-tower of sorts next to it. Looks impressively decreprit. Makes one think twice before braving the structurally questionable building.